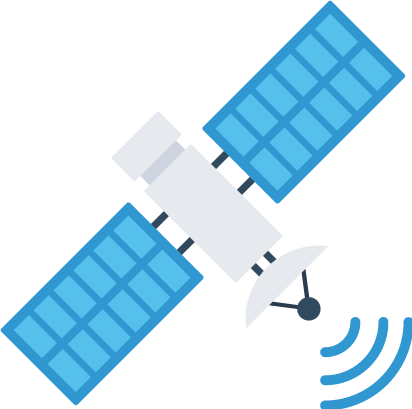 Built for reliability, all hosting packages use our Elastic Platform and Launchpad control panel to keep you ahead of the curve. All accounts are backed by our 60-day moneyback guarantee. Do you have needs beyond what we typically offer? Get in touch with us to discuss your needs. We can provide you with a tailored package to optimize your experience with us. Check out apnscp, which is our sister company that produces the control panel Launchpad. It's our original company with over 17 years experience. Run our panel your way on your stack. 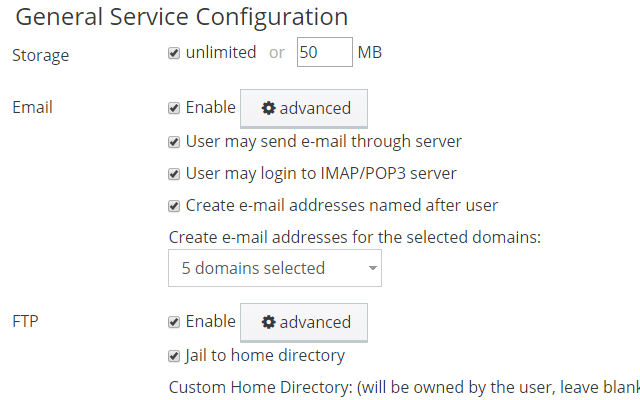 apnscp is an unmanaged service. Support begins at $49/incident. Our gears have been turning since 2002 amassing a wealth of experience and vision. We're still managed by our founder too! 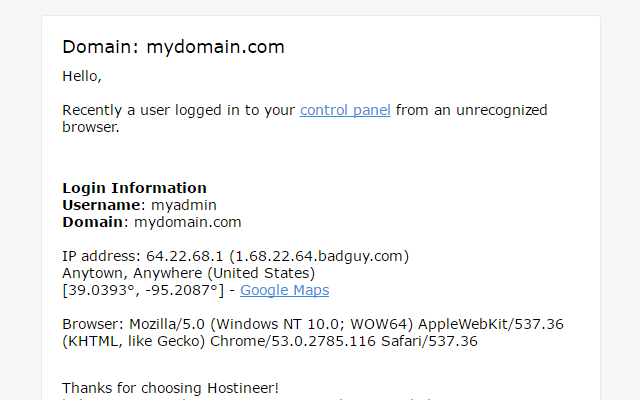 Ever notice how hosting providers look the same? They have the same holding company. We are 100% employee owned, operated, and investor-free. 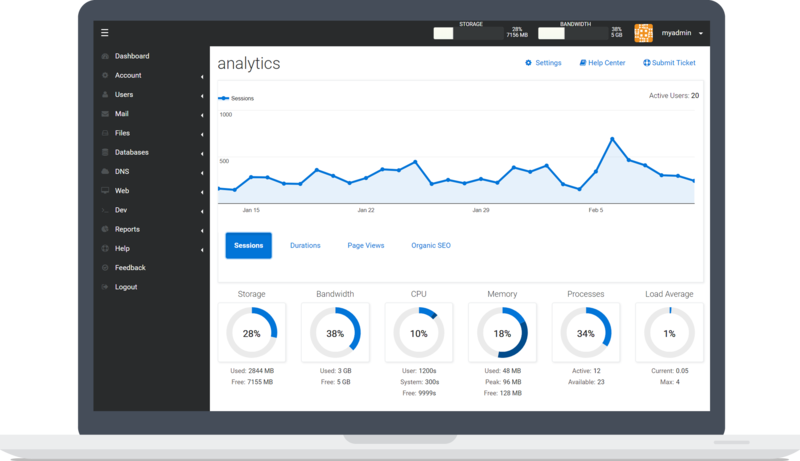 Everything from our control panel to hosting platform is built from scratch. It's engineered to outperform and outlast competition. Effortlessly install and upgrade several popular PHP applications with quite literally 1-click of the mouse. Zero forms to fill out and 100% pain-free. All installations come with free backups and database snapshot/rollback support. Seamlessly manage and run a variety of applications built on Node, Ruby, Python, and PHP. Node, Ruby, and Python support polyglottal multitenancy– run multiple applications using any interpreter version. Mix and match interpreter versions without mixing libraries. Each step of the way in returning a web page request is optimized: MySQL uses a gigantic query cache with higher CPU priority accessed over a local IPC connection for 7x throughput versus TCP sockets. PHP uses memory-backed sessions to eliminate unnecessary disk latency. Compiled opcode is cached and automatically retrieved via OPCache. Static assets are optimized on-the-fly with Google Pagespeed and stored in memcached for fast retrieval. Etags and gzip compression are automatically enabled reducing redundant requests. Pages serve faster than the competition with no changes necessary. It's tuned just for you – it's engineered hosting. Reliability begins with the hardware on which a platform resides. Faster platforms, better virtualization capability, and higher RAM densities yield more resilient platforms capable of withstanding the most demanding applications. We only use Dell for servers and Cisco for networking. Platforms are built to be nimble. Instead of creating sluggish monolithic platforms with massive configuration files, virtual machines are used at close to bare-metal speed consisting of fewer accounts per VM and smaller configuration files. Platforms bounce back faster with fewer risks. 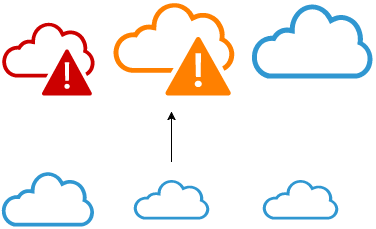 VMs can request additional memory and CPU from the hypervisor donated by neighboring VMs during periods of extreme traffic using our Cloud Resource Scaling Protocol. This added memory is used to offset process pressure that occurs naturally during extreme traffic scenarios. Launchpad has been our exclusive control panel for over a decade. Built to be purposeful and elegant, we have helped clients achieve beautiful websites with minimal noise and an always-on service clients have grown to love. 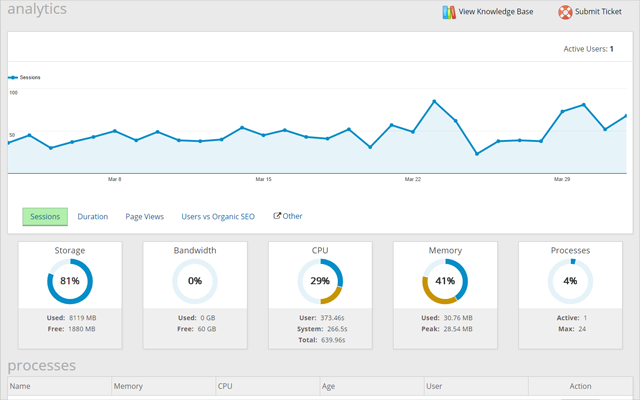 Seamlessly add Google Analytics traffic reporting to all web sites. View these reports within Launchpad through a few easy steps. Broke something? 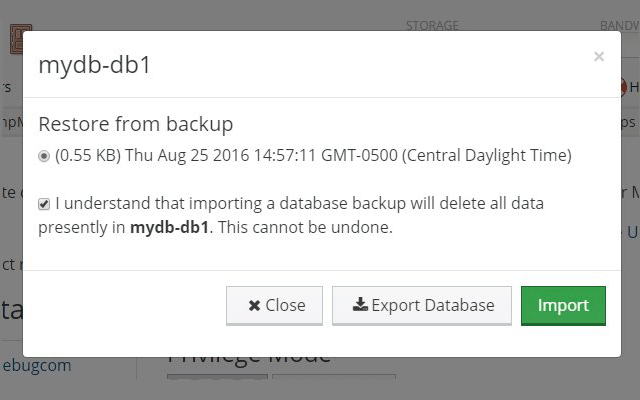 Quickly create database snapshots and rollback from snapshots or automated backups. Receive automated alerts whenever an unrecognized source accesses your account. Add unlimited email accounts all backed by our SpamShock filtering software. 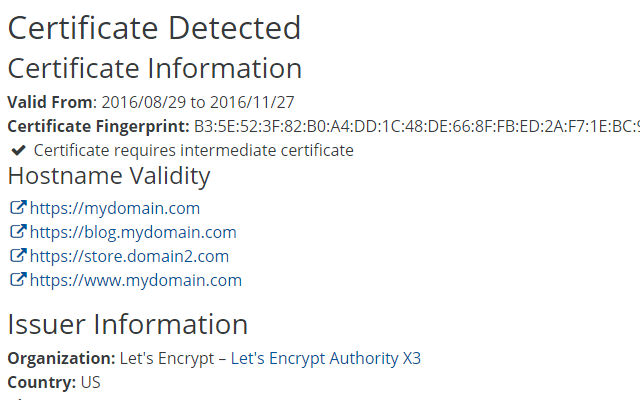 Create and automatically renew Let's Encrypt certificates with 1 click of the mouse. Choose your subdomains and domains to create a certificate and let Launchpad take care of the rest. Add an unlimited number of users and manage access rights all the way down to the API. 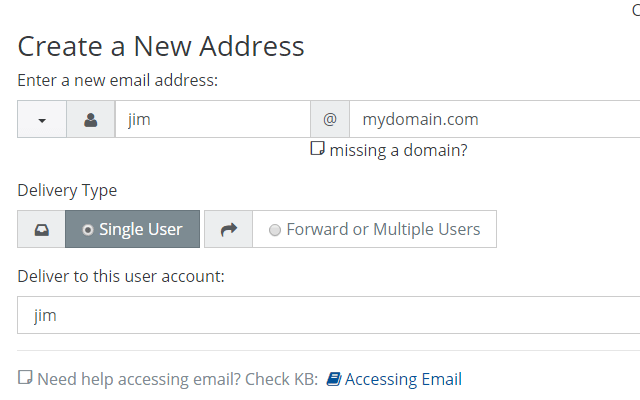 Additional users can be assigned ownership of addon domains or subdomains. 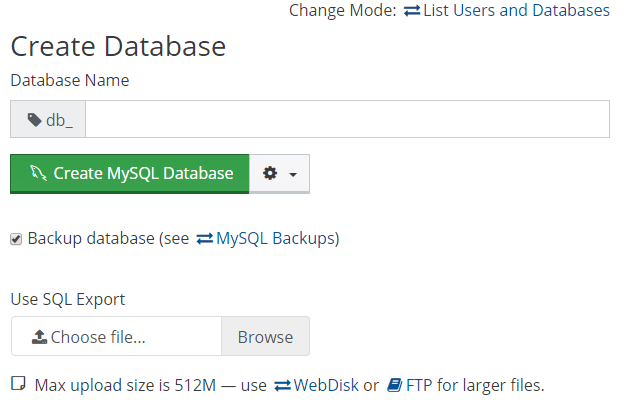 Simply select a SQL export to use as a database import when creating either a MySQL or PostgreSQL database. You may even export databases within the control panel. 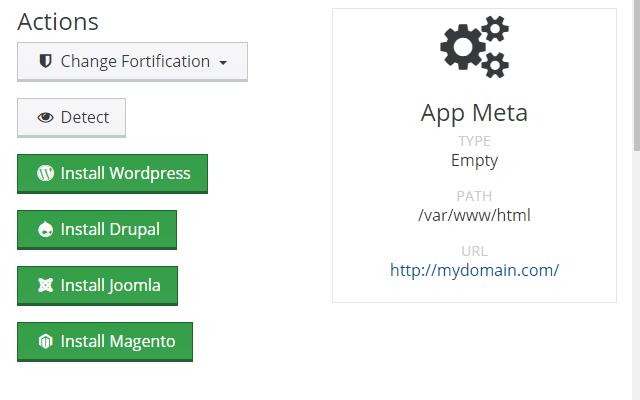 Install WordPress, Drupal, Joomla, Ghost, and Magento with one-click of the mouse – absolutely zero forms to fill out. Installation intelligently pulls your credentials from Launchpad to get you up and running with minimal fuss.